The Twitterverse had a minor explosion last week when a story broke that Fucked Up was being sued by an energy drink company after the local band badmouthed them on their blog. 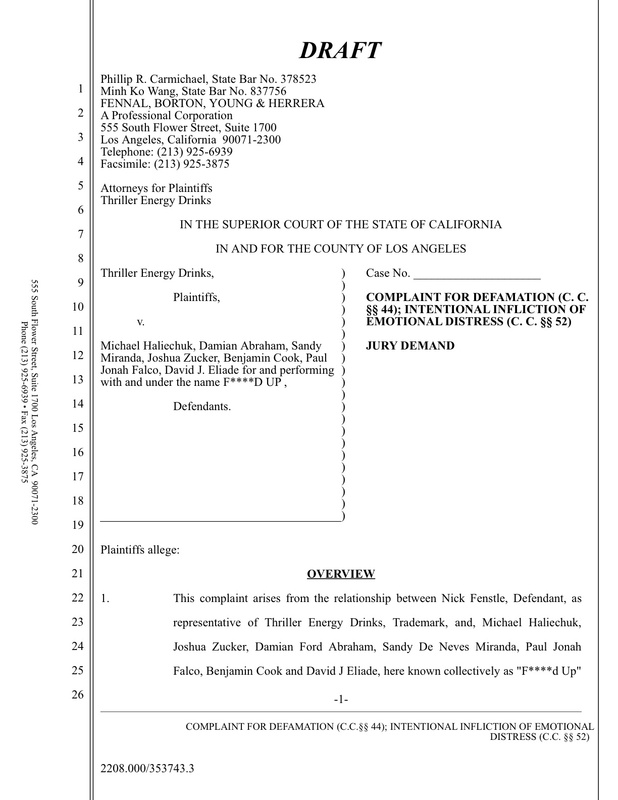 “One of the companies that was involved with presenting our official SXSW showcase [Thriller Energy Drinks] took out a claim against us yesterday for defamation,” wrote the band on their blog. They even created a Facebook group to support the band and shared a link to the court documents. The news quickly circulated around the Web before the band exposed the prank, writing, “Hey, so the whole lawsuit thing was real. I mean fake. It was fake. No one is suing us. It was a really elaborate April Fool’s joke we thought up, like, maybe 48 hours ago.” Of course, hindsight is 20/20, and we appreciate the apparent lengths Fucked Up went to to give fans a laugh and reporters a minor heart attack.